KUCHING: A fire destroyed a house in Kampung No. 5, Jalan Ajibah Abol, here yesterday, leaving the nine occupants homeless. 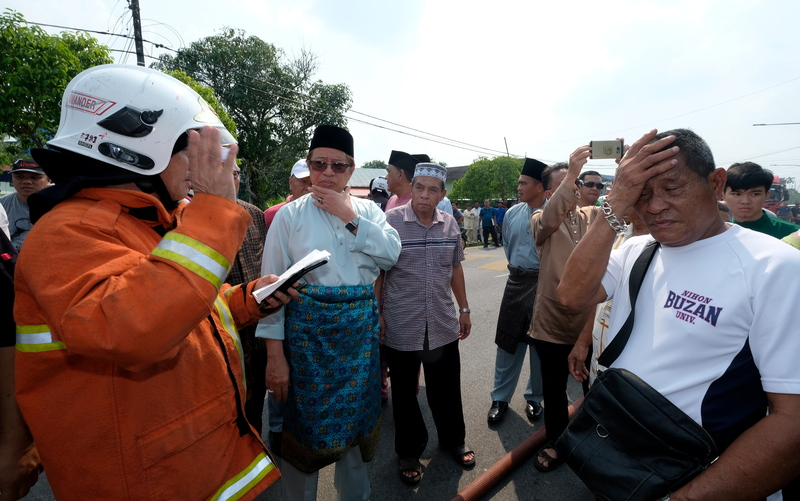 The fire, which started at about 2pm, was put out by 23 firefighters who rushed there in three trucks, said a spokesman of the Sarawak Fire and Rescue Department operations centre. “The fire was at its height when the firefighters reached the village. The blaze was put out at 2.40pm. No one was injured,” he said in a statement. Fire destroys house, leaving nine homeless 0 out of 5 based on 0 ratings. 0 user reviews.